The rising popularity of dental implants has allowed many patients to experience the great advantages that dental implants bring. However many patients feel that dental implants are very expensive and dont consider this treatment as a viable alternative to loose and uncomfortable dentures. Dental implant pricing is a particularly competitive market and many dental clinics now offer more affordable dental implants. The normal cost or average cost for a dental implant in the UK is around £2000. 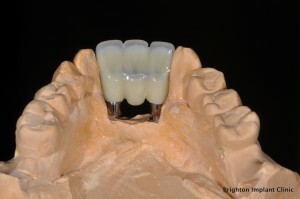 This generally includes the dental implant itself, the abutment and the final porcelain crown. The cost of dental implants varies greatly between dental implant clinics and different parts of the country with larger cities like London and Manchester seeing higher prices than the average. In some London dental implant clinics a single dental implant can cost as much as £3500. 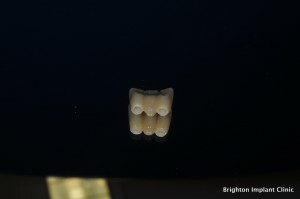 At Brighton Implant Clinic we try to provide dental implant treatment at an affordable price so that many more patients are able to benefit from this amazing dental treatment. At present dental implants offer the highest success rate of treatment in dentistry than any other field of dentistry like dental crowns, dental bridges, dentures or fillings. Dental implants are almost 95% successful in all cases. At our clinic a complete dental implant costs only £995. So if compared to other clinics our £995 fee really does include the necessary components to make up a dental clinic. There are other clinics which advertise dental implant pricing as £395 per dental implant however this does not take into consideration that for each dental implant you have to have an abutment and a crown added. When added together the cost of the total dental implant is much higher than the £995 advertised by Brighton Implant Clinic. If you are having multiple teeth replaced with dental implants then the price per tooth replaced with dental implants is lower than the £995 advertised. 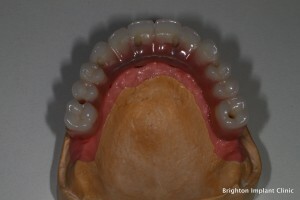 For example if you are missing three teeth and a dental implant bridge on 2 dental implants is recommended as the best treatment of choice then the total fee will be around £2500. This means that not every tooth needs to be replaced with a dental implant, or rather its not advisable to replace each missing tooth with a dental implant. 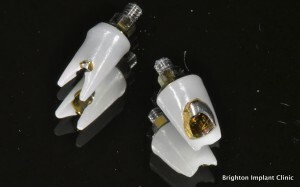 If one considers the cost of this then the price per tooth for a 3 unit bridge on 2 dental implants is around £800 per tooth. 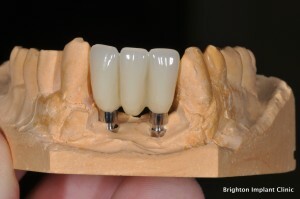 The more teeth that are replaced with dental implants the less the unit price per tooth it is. For an accurate treatment plan and dental implant pricing Contact Brighton Implant Clinic reception for your FREE assessment.